"Here Come The Muppets" Parade models, 1990. With the Muppets' recent comeback for a new generation, I was reminded of my brief brush with Muppetdom in early 1990. "Here Come The Muppets" was the title for a proposed Disneyland parade that would have featured giant inflatable characters rolling down Main Street on floats, similar to the balloons in the Pardi Gras parade (also 1990). Disney had just purchased the Muppets from Jim Henson for an estimated 150 million dollars, and the company was speedily making big (and wild) plans for Kermit the Frog and Miss Piggy. Disneyland President Jack Lindquist had an idea of sending Mickey and the other Disney characters on a year-long "vacation" away from the Park while the Muppets took over for the duration. Some of the concept sketches we saw at the time included draping the Disneyland marquee on Harbor Blvd with a big banner reading "Muppetland", painting the Matterhorn green, and replacing the Mickey flower bed in front of the Train Station with Kermit's face. Thankfully, none of this came to pass, but the Disneyland Art Department certainly enjoyed working on several Muppet parade models. 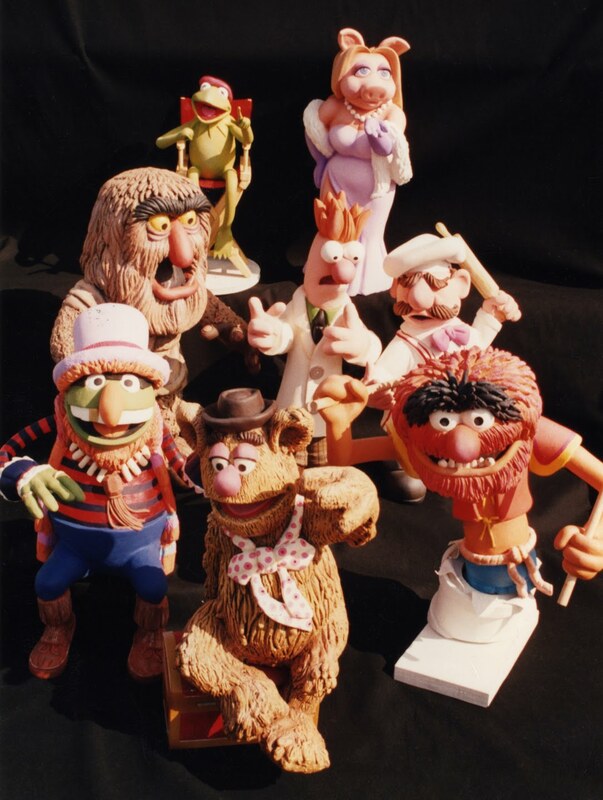 In the photo above, Kermit, Sweetums, Dr. Teeth, and Animal were all sculpted by Rich Collins. I did Fozzie and Beaker. Miss Piggy was done by Scott Sinclair, and Jackie Perreault sculpted Swedish Chef. One other model I'd started but never completed: Gonzo in his super-hero cape and red tennis shoes. sion, Fozzie sat on a steamer trunk full of vaudeville props. On May 16th, 1990, Jim Henson died unexpectedly of pneumonia. I heard the news on KCRW while driving to work that morning. It was a terrible shock, made even more surreal because of the project we had been immersed in for months. With Henson gone, Disneyland's Muppet deal immediately floundered, and we were told to stop working on the parade. Any artwork that we had done featuring Muppets was packed onto a truck and taken away (possibly to the Henson company?) Maybe there's a warehouse somewhere with all our models packed away in crates. At any rate, I'm glad we snapped a few photos while we had the chance! Painting the Matterhorn green? Replacing the Mickey flower portrait with Kermit? Wow, the fact that these ideas were even seriously considered is incredible. The Muppets are great, but come on. Also, it seems (by today's standards) that acquiring the Muppets for 150 million was a bargain. 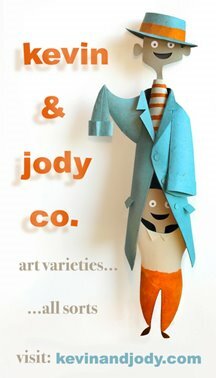 Love the photos of the sculptures! What a great idea! Nicely executed, of course. All that was missing was Bo following the parade, sweeping up. BTW, I see you used the "late" versions of the characters (the proportions of the characters shifted slightly as the series went on). Did the sculptors select their own character models, or were "official" versions supplied to you? K.G. : If I recall, the concept designs/poses were supplied to us. There was also a stack of xeroxed sketchy "model sheets" supplied by Henson for each Muppet - not an official style guide, per se, but B&W copies of turns showing how each puppet looked with legs and feet. We went off those for the models. Nice models! While I love Disneyland and like the Muppet's, like I love chocolate and lobster, the two do NOT belong together --even for one Summer. Also Kevin--you forgot to mention that MUPPET'S 3-D was proposed going into the Main Street Opera house as well as "The Matterhorn taking on a shade of Miss Piggy Pink" .....as the press announcement claimed. The press also refers to a "Muppet All Star Motorcade". Wow, I didn't know about the pink-piggy Matterhorn. Ick. (Isn't Miss Piggy more peach colored anyway?) I remember talk of the 3D film replacing Mr. Lincoln. I actually think some of those ideas are really fun. Growing up if I had to pick sides I would side with the Pig. I was never a princess girl. it would be like seasonal or special events that happen through the year that I think could have been a MUST SEE - like the holiday Small World. We all love the classics but sometimes the idea of shaking it up can be exciting. I hope this new movie brings a new audience to love the old Muppet productions - and Muppet 3D gets a little love. ooh, you got to sculpt my two favorites. Some of those suggested refurbs just sound awful, but I wouldn't mind a Pigs In Space refurb of Astro Orbiter, even for just a seasonal application. Fun ideas, but it would be better to add the Muppets to the park without having them eclipse beloved Disney portions. Making a MuppetLand space for them, like Mickey's ToonTown, would be a great idea. 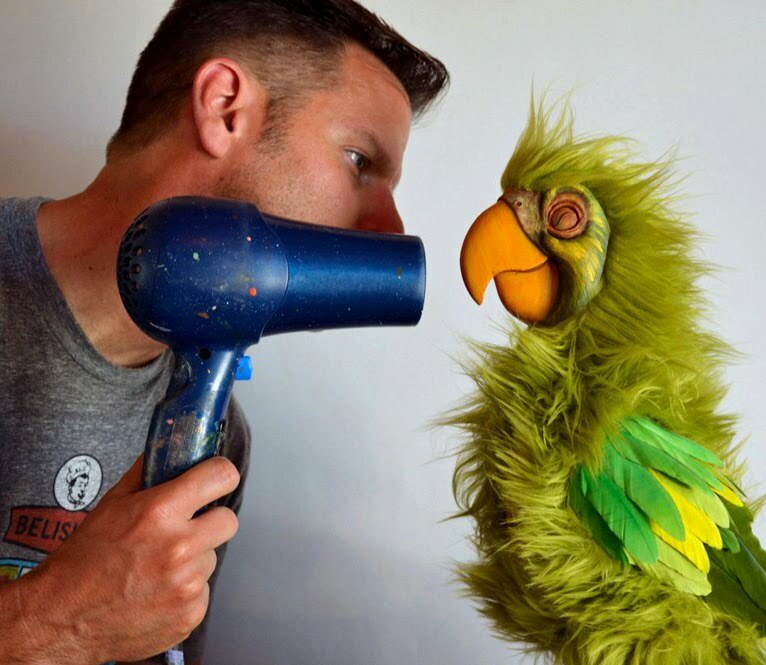 I really hope they revisit some of these plans and increase Muppet visibility in the parks. By the way, great sculpts! !